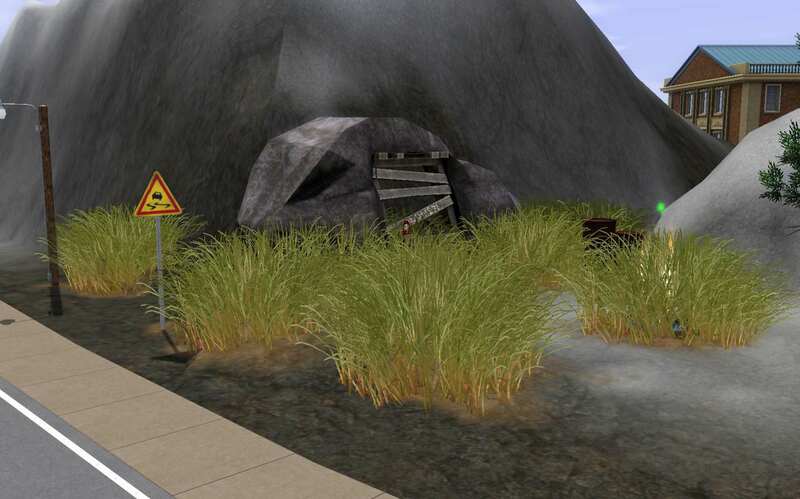 Mod The Sims - Bleake Islands - A Bleak Place Indeed! When Thisis Bleake discovered these islands many years ago, they were a bleak place indeed in the far northern reaches of Simplanet. There's always some snow on the ground, even in the summertime. It took a long time and much effort to carve a roadway and erect structures. Most original inhabitants were either banished here or on the run and hiding out. Livings were made by fishing, smuggling, and mining. Times were hard. One day, miners excavating on the tallest mountain found something very strange. Soon thereafter, black-suited "specialists" arrived and the area was cordoned off. No one really knew what was going on up there but it turned out to be a boon for the islands. A state-of-the art hospital and research facility was built, housing was needed, and the local economy got a boost. Bleake islanders never did tell the outsiders, though, about some of the strange items found and things that were happening there. 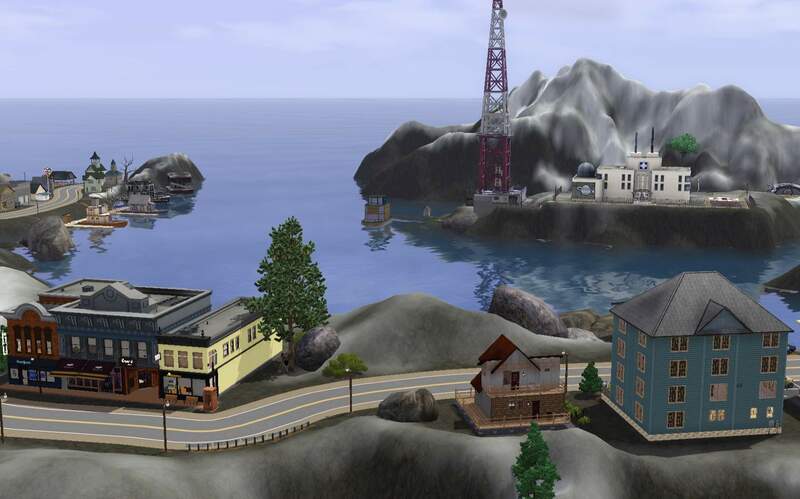 Bleake Islands requires all expansion packs up to and including Into the Future (World Adventures, Ambitions, Late Night, Generations, Pets, Showtime, Supernatural, Seasons, University Life, Island Paradise, and Into the Future). 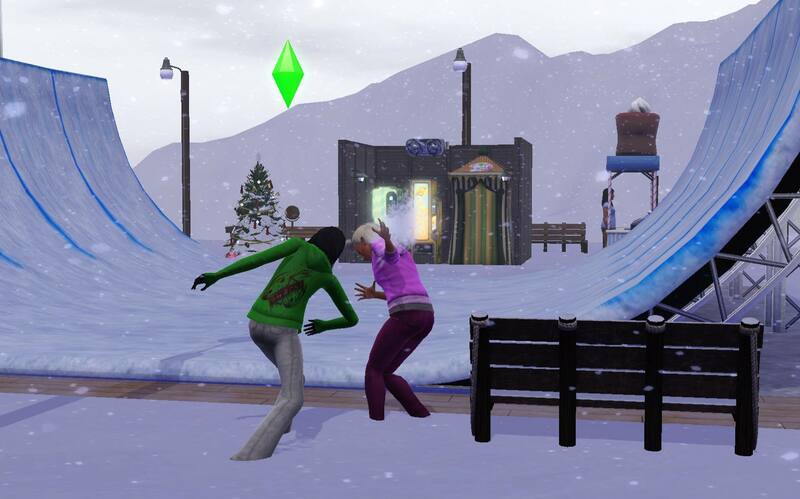 It may work without some expansion packs but could look different. Pets, Late Night, Island Paradise, and Into the Future are absolutely required for rabbitholes, bars, apartments, and the islands' run down "sci-fi" theme. Bleake Islands is NOT populated. An original grayscale map of southwest Missouri / southeast Kansas - converted into "islands" - was used to construct the world. 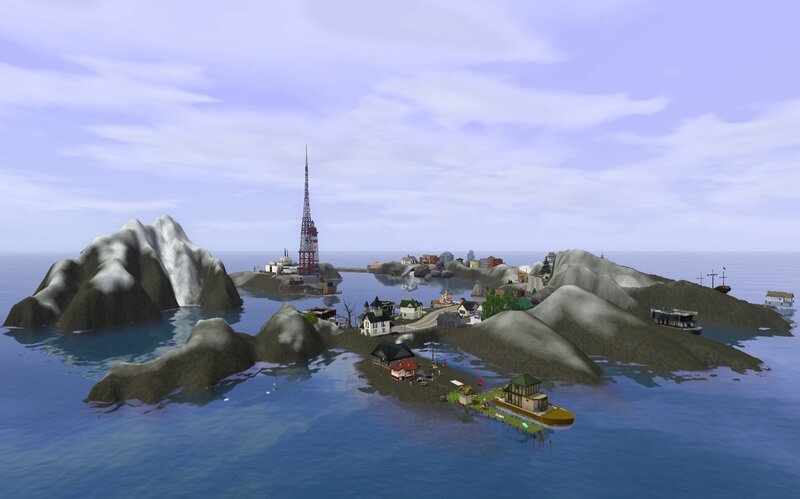 Sims can boat around the main island and between islands. The moon rises over the beach. Bleake Islands is set as a town so will spawn raccoon, pets, and horses. (I just pretend the horses are moose!) Players who have a "no horse spawning" mod can just remove the water trough/feeder at the beach. Since there is no designated "fishing spot" on Bleake Islands, the unicorn does not spawn. However, there are lots of places to fish! 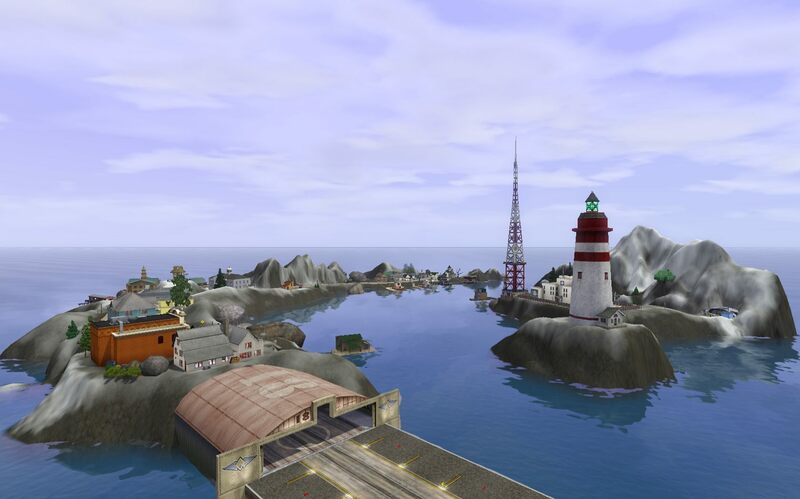 There are two versions of Bleake Islands - one with the "Dry Dock Diner" lot featuring the Hogan's Deep Sea Diner Rabbithole; the other with a Resort Rabbithole lot (the "Hidden Cove Motel/Resort") replacing the Dry Dock Diner lot. This is so players who do not have the Hogan's Deep Sea Diner Rabbithole will not have to rebuild a deck lot. (Deck lots don't seem to work to replace a lot when saved to the bin.) The world with the "Dry Dock Diner" lot is called "Bleake Islands". The world with the "Hidden Cove Motel/Resort" lot is called "Bleake Islands - Resort". Otherwise, the worlds are exactly the same. 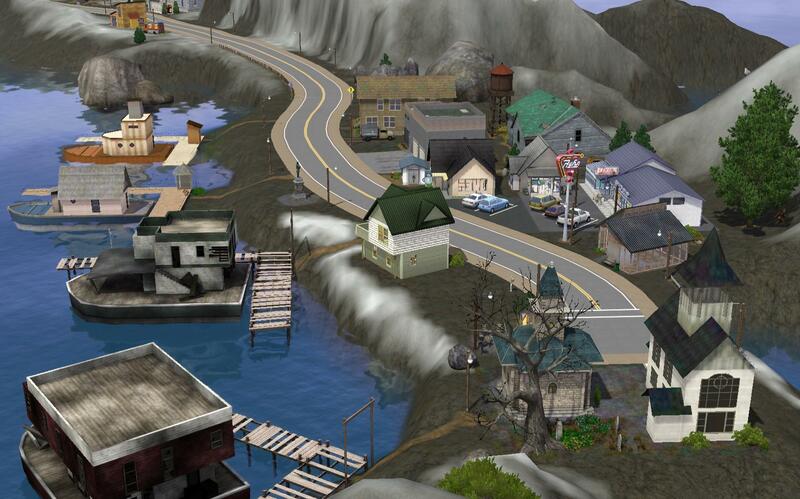 Although you can download both worlds into the Sims 3, only one world can be installed in the game at a time. Most items are decorative. Store items the player does not have will either be deleted or replaced by proxies. Map Size: Bleake Islands is a Medium world (1024 x 1024) with a small land mass. Layering: There are 6 layers - Lots, Objects, Spawners, Effects, Trees & Plants, Houseboats & Ports. The Global layer was "cleaned" twice so it contains a minimum number of items. Textures: 8 in-game textures were used total. Therefore, there are no more than 8 textures per "chunk" anywhere on Bleake Islands. Routing Info: Sims cannot route up or down steep sides of mountains with the exception of paths/sidewalks which take them to specific lots. The camera can go anywhere on Bleake Islands. There are no "hidden" spots. Spawn Points: Fishing, gem, Vampire's Eyes, metal, large bird, butterfly, rodent, base game seeds (around greenhouse), crystal plants, sea life, sea sludge, sewer trilobite, shark, seashell and bottle, dig site - wasteland, Pill Bug, Honeypot Ant, and nanite spawners are placed in logical places. Although there is no designated "Fishing Spot" on Bleake Islands, there are a number of places to fish. 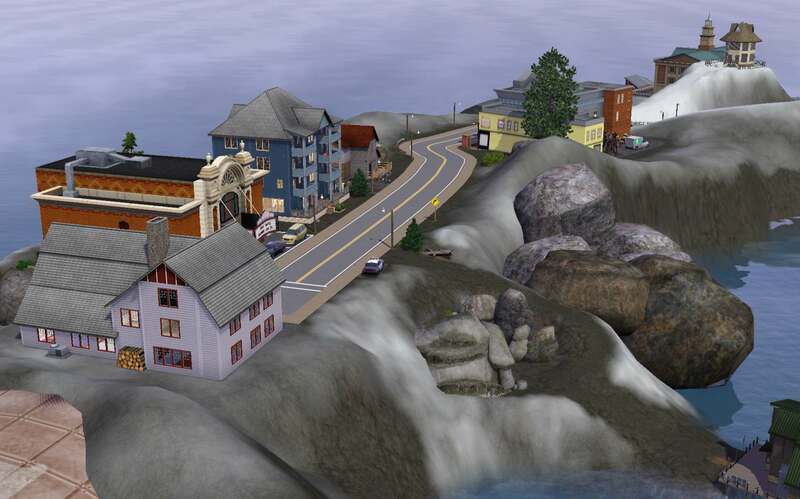 Effects: Waterfalls, flying geese, river rapids, and fog emitter effects are placed on Bleake Islands. Lots: Bleake Island has a total of 45 lots - 25 community, 3 dive, 13 residential (4 residential lots are houseboats), and 4 houseboat ports. There are three empty 10x10 lots for which alternate lots are available (see Comments). All lots are original and built by SimmyRN. 25x15 Community Center & Fire Dept. (Fire Station) - See Comment. 35x20	Shore Lunch Beach (Beach) - See Comment. 15x20	All Sims' Chapel (Graveyard) - See Comment. 10x10	Community Greenhouse with LLAMA (No Visitors Allowed) - See Comment. 12x10	Daily Grind (Coffeehouse) - See Comment. 6x8 Shoreline Park (Small Park) - grill, picnic table, fire pit, and vending machine. 6x6 Bleake Islands Founder Statute (Art Gallery) - honoring Thisis Bleake. 15x10	Hot Stuff! (Salon) - The hottest place in a cold, cold town! Has Styling and Tattoo stations as well as a hot tub. 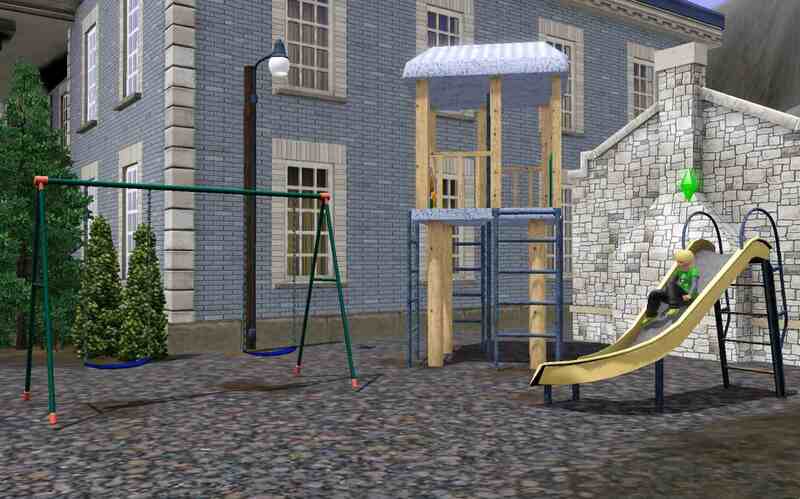 45x25	Bleake Education Center (No Visitors Allowed) with School and Vault of Antiquity Rabbitholes and playground. 15x15	The Eagle's Nest (Local Watering Hole) - professional bar, foosball and dominos tables, and telescopes. (Spawns bartender.) There's also some "unusual" debris the locals have kept hidden from the outsiders. Some say this debris calls strange visitors to the islands at night. 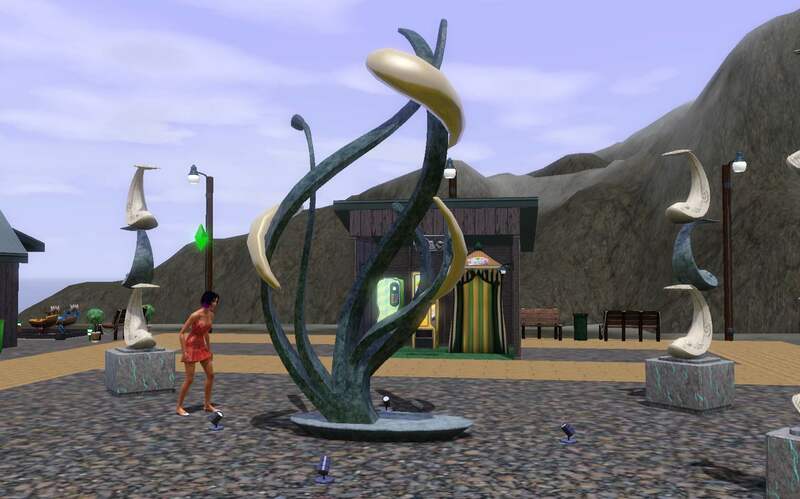 30x25	Oceanside Square (Festival Grounds) - seasonal activities, Magic Jelly Bean bushes, The Claaaw, photo booth, face painting booth, vending machine, Public Sounds Stereo, toy chest, toddler toys, play area with spring riders, and restaurant/bar with food register. (Spawns bartender and cashier.) Upstairs the restaurant has arcade machines and a pool table. 30x34	Boardwalk (No Visitors Allowed) with Hueber Associates & Kim Gould's Steakhouse Rabbithole, LLAMA, and dumpsters and junk piles in back. 30x30	Bleake Cinema (No Visitors Allowed) with Blue Sky Movie Theater Rabbithole. 16x12	The Pirate's Den (No Visitors Allowed) with Smuggler's Lair Criminal Warehouse Rabbithole. Hidden in the side of a mountain by the shore, smuggling and piracy are still sources of income for the islanders. 30x50	SIMSA Astral Research Center (No Visitors Allowed) with Hospital and Science Lab Rabbithole as well as LLAMA. 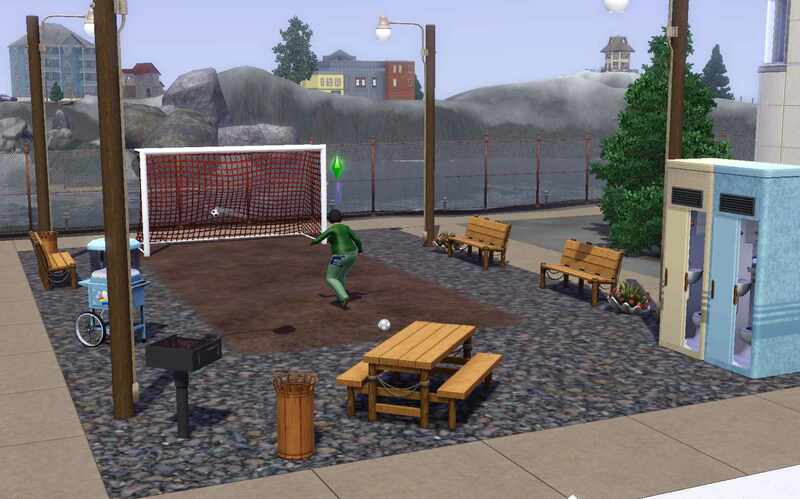 16x10	Employee Park (Large Park) - grill, snow cone machine, soccer goal, and All-in-One bathrooms. 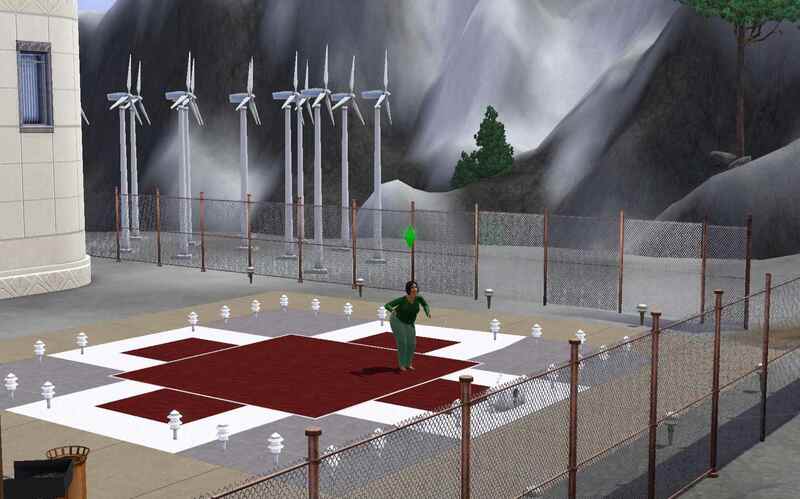 10x10	Helipad Hangout (Hangout) - looks like a helipad but it's actually a dance floor! 9x13	Archaeological Excavation (No Visitors Allowed) - what could the miners have discovered there that caused all the excitement? Has Reventlov's Bot Workshop. 4x8 Staircase community lot takes workers and visitors to the Research Center, Employee Park, and Helipad Hangout. It's also used by those sneaking into the excavation site! 25x30	Dry Dock Diner (No Visitors Allowed) - on dock with Store Hogan's Deep Sea Diner Rabbithole, outdoor dining area, and LLAMA. Not included in the "Bleake Islands - Resort" version. 25x30 Hidden Cove Motel/Resort (Resort) - on dock with Resort Rabbithole, two bungalows, buffet, food stand, professional and juice bars, gym equipment, chess tables, and LLAMA. Not included in the "Bleake Islands" version. 30x50	Bleake Books & Spa (No Visitors Allowed) - on dock with Mind Body Connection bookstore and spa and Gypsy Wagon Rabbitholes. 25x35	Bleake Public services Office (No Visitors Allowed) with City Hall Rabbithole. Strange and wondrous things have been seen under the dark water but no one's talking about them either! 20x20	Bleake Apartments - See Comment. 14x14	Old Sailor's Shanty - 1 bedroom, 1 bath home with wraparound porch and private deck off the bedroom. 15x20	A Bleake Boarding House - See Comment. 20x20	Converted Garage - See Comment. 10x10	Seafoam Cottage - 2 bedroom, 1 bath home. Master bedroom upstairs has crib. 15x25	The Hide-Away - See Comment. 10x14	Bleake Islands Houseboat 1 (Bunk Houseboat) - See Comment. 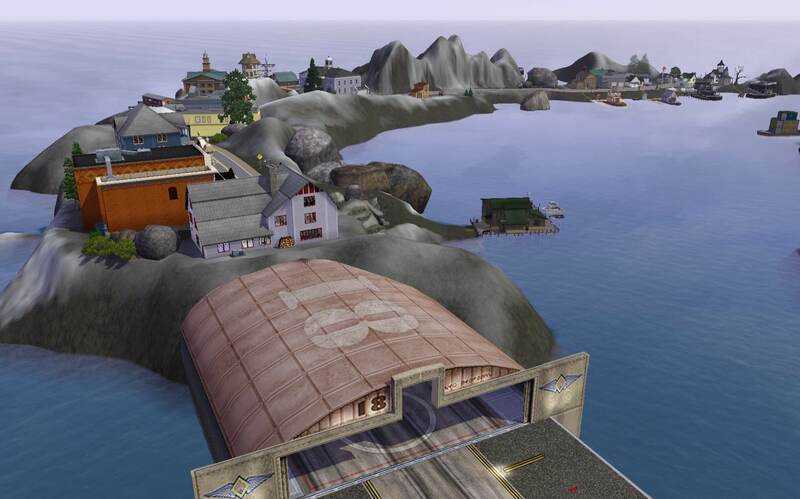 60x60	Bleake Islands Houseboat Port 1 - Houseboat dock with benches and LLAMA. 10x14	Bleake Islands Houseboat 2 - Fishable; 1 bedroom, - bath with separate shower, desk and computer. 35x35	Bleake Islands Houseboat Port 2 - Houseboat dock with table & chairs, benches, and LLAMA. 8x16	Bleake Islands Houseboat 3 - Fishable; Studio with crib and full bath. Has stereo and easel. Ideal for artists and athletic sims! 25x35	Bleake Islands Houseboat Port 3 - Houseboat dock with lounge chairs and LLAMA. 8x16	Bleake Islands Houseboat 4 - Fishable; Upstairs bedroom with double bed. Has full bath and breakfast bar. 30x35	Bleake Islands Houseboat Port 4 - Houseboat dock with table & chairs, Aqualoungers, fire pit, and LLAMA. Swimmers sometimes momentarily swim above the water at the edges of dive lots. Making high resolution world maps tutorial. How to create a world using real-world height data tutorial. simsample's tutorial Cleaning the Global Layer. MTS members for test playing and feedback for Bleake Islands. HugeLunatic for "cleaning up" and submitting my Creator Feedback thread for upload so that I didn't have to "re-do" everything!